The UK government plans to implement a digital services tax in April 2020 in which US tech giants will pay 2% on the revenue they make from UK users. This is radical because it’s the first time the UK has targeted the US tech firms, which are often accused of not paying enough tax. The tech giants have paid a small amount of corporation tax on profits they report in the UK, not on revenue. Britain expects the new tax to raise up to £400 million ($US510 million) a year starting in 2020. UK officials haven’t outlined exactly how the tax would work. The UK government on Monday announced a drastic change to the way Silicon Valley tech giants such as Facebook, Amazon, and Google would be taxed in the UK. Chancellor Philip Hammond said the UK would tax 2% of the revenue that tech giants make from UK users, estimating that the measure could raise up to £400 million ($US510 million) a year for the nation’s coffers starting in 2020. The so-called digital services tax is a radical move: It’s the first time the UK has targeted the US tech giants and the low amount of tax they pay in the UK. Most major US tech firms have a complex tax setup that involves routing their sales through a subsidiary in a country with lower taxes, such as Ireland. Their UK subsidiaries report revenue based on services provided to the parent company, resulting in drastically lower revenue and profit, and, therefore, corporation tax. 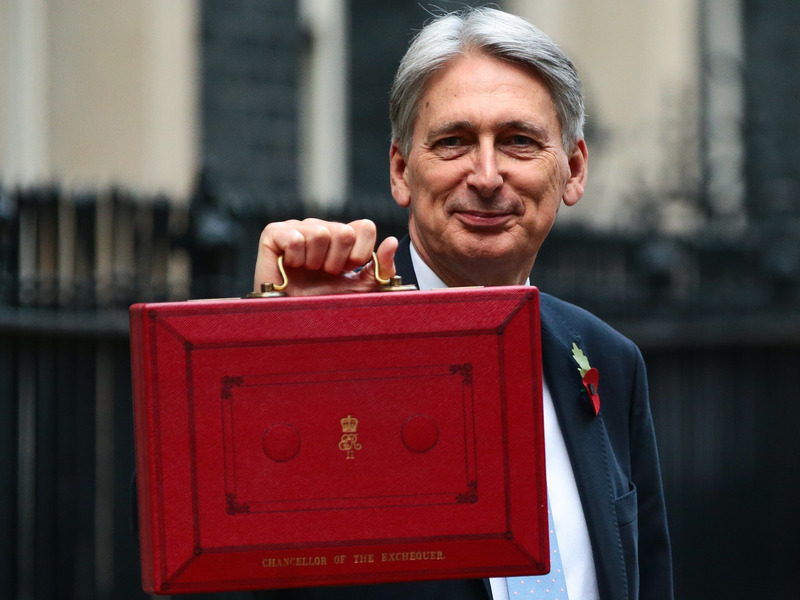 “The digital platforms delivering search engines, social media, and online marketplaces have changed our lives, mostly for the better,” Hammond said in his budget statement in Parliament on Monday. The tax, Hammond added, was aimed squarely at big US tech firms and could also affect Uber and Airbnb. He said the UK would avoid entrapping smaller startups by targeting only profitable companies generating at least £500 million in global revenue. Hammond did not go into further detail about how the digital services tax would work, but he said the government planned to open a consultation before implementing it in April 2020. Hammond also joked that he expected to hear from Facebook’s new communications chief, Nick Clegg, a former deputy prime minister and Liberal Democrat leader who is one week into his new job. “I am looking forward to my call from the former leader of the Liberal Democrats,” Hammond quipped. TechUK, the British lobbying group that counts Facebook, Amazon, and Google among its members, said it opposed the tax.